JRN Institute of Aviation Technology, New Delhi, continues to be one of the most premier aviation institutes of the country producing, world class torchbearers to carry forward its rich legacy in the field of aeronautics. With an able faculty of highly experienced and reputed officials from the top offices in the aviation industry the Institute is regarded as a benchmark when it comes to aircraft designing and operation. The scenic location of the college with its proximity to the global hub of developments in aviation technology, act as indispensable boosters in the cause of the Alma matter. Long known for its discipline in the field of civil aircraft engineering and record tottering placements every year JRN has made its mark in the hearts of millions who wish to take the course not only for profession but also to quench their passion. The institution is laden with all the latest state of the art technology requirement in the field of aviation advancement and promises to be an utterly amazing experience for the enthusiasts. 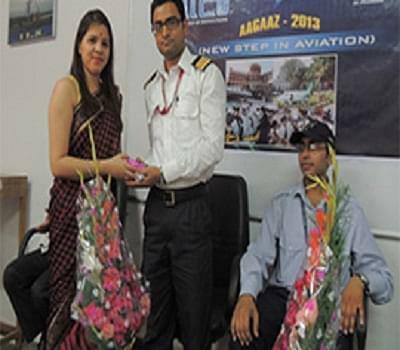 Why to Join JRN Institute of Aviation Technology, New Delhi? Accounts for a fair share in the Indian aviation industry: The Institute is a part of the IIA group that has had a long-standing reputation when it comes to placements with top Indian companies. Almost 50% of the technical forces in the Indian aviation industry are former of IIAians. Technical Manual and Handbooks: JRN Institute of education is accounted for being the only institute in India that publishes Technical Manuals and handbooks on various subjects as per AME syllabus prescribed by DGCA. First Institute in India: Having the allowance to conduct in-house job training on its own set of aircrafts.